COLORADO SPRINGS, Colo. – The PRCA is pleased to announce that it is partnering with the Canadian Professional Rodeo Association and Northlands Coliseum to offer a livestream broadcast of the 44th Canadian Finals Rodeo on ProRodeoTV.The Nov. 8-12 CFR will be exclusively broadcasted from Edmonton, Alberta, on ProRodeoTV.com. The broadcast will be available via home computers, laptops, tablets and smartphones. There are six total performances of the CFR, with four night performances beginning at 7:30 p.m. (MT) on Nov. 8-11. There are also 1 p.m. performances on Nov. 11-12, with the latter being the final round of the rodeo. Watching the CFR livestream is as easy as logging on to www.prorodeotv.com and signing up for a subscription. In addition to CFR coverage, ProRodeoTV offers a variety of premium archived rodeo footage, including videos of past Wrangler National Finals Rodeo performances. ProRodeoTV will livestream more than 20 rodeos during the 2018 season, as well as the 2017 Wrangler National Finals Rodeo presented by Polaris RANGER – live internationally, and on a 12-hour delay domestically. 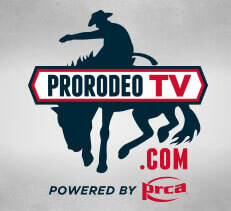 ProRodeoTV packages to stream the CFR are $29.99 (USD), which includes all six performances. The Canadian Professional Rodeo Association (CPRA), with the head office in Airdrie, Alberta, is the sanctioning body for professional rodeo in Canada. In 2017, the CPRA approved 55 events in Canada with a combined total payout of over $5.3 million. The sport organization is committed to maintaining the highest standards that ensure every CPRA-sanctioned event is managed with fairness and competence, and the livestock used is healthy and well cared for. The CPRA has a strong working relationship with the Professional Rodeo Cowboys Association (PRCA) in the United States, and most Canadian rodeos are co-approved for world championship points. World Champions are declared using combined CPRA and PRCA earnings.